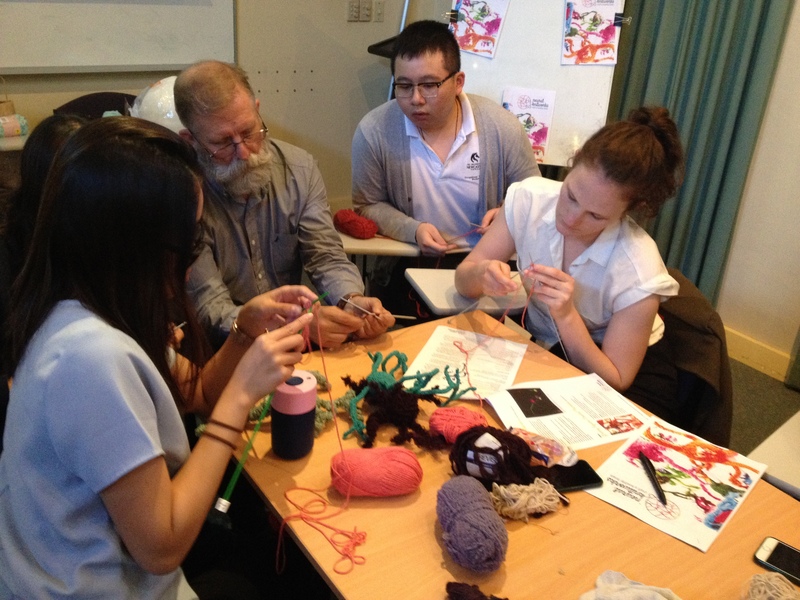 Interest in the popular brain health awareness project Neural Knitworks, created with support from Inspiring Australia as part of National Science Week in 2014, continues to grow, with the arts and science project now heading to the Outback this August. Staff at the Broken Hill University Department of Rural Health and Broken Hill Health Service were inspired by Neural Knitworks and saw potential to use the concept as an Arts in Health project. This mission is to inform the community of the benefits of crafting on brain health and general wellbeing. With support from the Local Health District’s Arts in Health Committee, staff have enlisted the help of several health students placed in Broken Hill. They will speak to community groups and invite community members to start knitting, crocheting and wrapping neurons. Allied Health professionals have also been involved and are even using neuron crafting activities as part of client therapy. Several workshops have already been held with participants to explain Neural Knitworks’ approach and demonstrate how to make a textile neuron. At one of the sessions, founding artist Pat Pillai will join via Skype to discuss the project’s background and talk about how helpful working with textiles has been in her own personal journey. This August, during National Science Week there will be a Neural Knitwork display on show in the foyer of the Broken Hill Health Service with information around the benefits of craft in maintaining brain health. We can’t wait to see the response to our creations! From here we hope to send the display around the Far West so that other community members can learn about neurons, knitting and brain health. We would like to thank and acknowledge the founders of Neural Knitworks for their great idea that we are now introducing to our Outback Community in and around Broken Hill. Guest post from Broken Hill University Department of Rural Health. Follow the project on Facebook and find out how it all began in this article.